While most people think of CrossFit as just an exercise program, CrossFit is deeply rooted in nutrition. 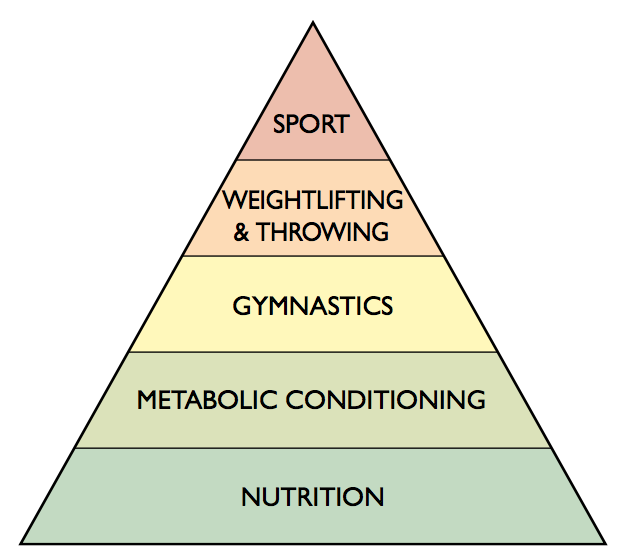 As a matter of fact, in the theoretical hierarchy of development of an athlete, Nutrition is at the base of the pyramid as the most important piece. Each level of the pyramid depends on the layers below to support them, and if the foundation is weak, everything above will suffer. Our Nutrition Coaching Program at Oak City CrossFit is unique and is designed to provide individuals with an easy, science-based approach to nutrition and wellness, using simple behavior modification strategies to create positive change without the stress of “dieting”. Imagine the confidence you could have walking into the grocery store or a restaurant knowing exactly what you should eat to not only feel great but look great too! During Phase 1, you will meet with your nutrition coach for an Initial Consultation and Health Assessment. We will do Biometric Testing with an Inbody Machine and work on Goal Setting. You’ll leave with 4 weeks of Customized Meal Plans with Grocery Lists, a Nutrition Handbook, access to an Exclusive HSN App, and your Inbody results. 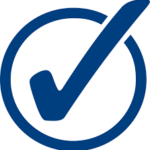 At the end of Phase 1, you will have a Follow Up Visit with your Nutrition Coach. Need help deciding which option is right for you? Sign up for our FREE Hungry For Help intro session to learn more!